This Webinar shows how to configure SkyRadar's online radar GUI, called FreeScopes, It is able to operate live radars through a browser. The GUI includes an A-Scope, a B-Scope and a Plan-Position-Indicator PPI. The Software can be operated by many users concurrently. 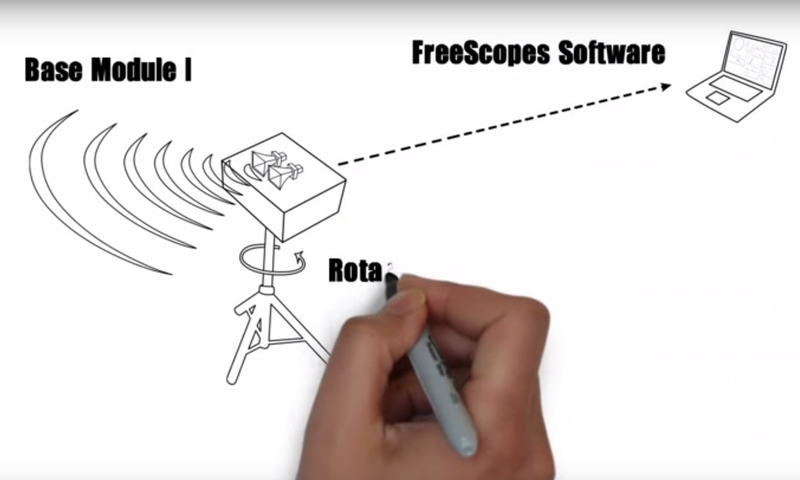 This video gives a general introduction into the scopes of PSRs. It talks about A-scopes, B-scopes, PPI, Sensitive Time Control STC, Moving Target Indication MTI, Tracking, Rotation and Panning and more. All is shown at the example of SkyRadar's close range training radar PSR Base Unit. This short video shows and compares the 3 most important scopes used in primary surveillance radar technology. The video shows live images taken with SkyRadar's close range training radar system PSR Base Unit. This video pinpoints the important parameters to set in a primary surveillance radar in order to get a clear scope image. The video shows PPI, B-Scope and A-Scope representations and sets important parameters. This Webinar shows how to assemble SkyRadar's base module and Rotary Tripod. In fact it is all plug and play. The system includes the live online radar software FreeScopes. This Webinar describes the mounting of the parabolic reflector on SkyRadar's Base Module from the Modular Radar Training System. Radar Experiments from "Easy" to "Challenging"
This short video explains how to set the Sensitive Time Control in a Primary Surveillance Radar to get the best measurement results. It shows the impact of STC on A-Scope, PPI and B-Scope. STC is a pretty abstract mechanism but this video explains and shows how it operates. This video explains and visualizes Moving Target Indication. In the experiment set-up, a ventilator serves as moving target. Its various concurrent movements help to illustrate what MTI does.